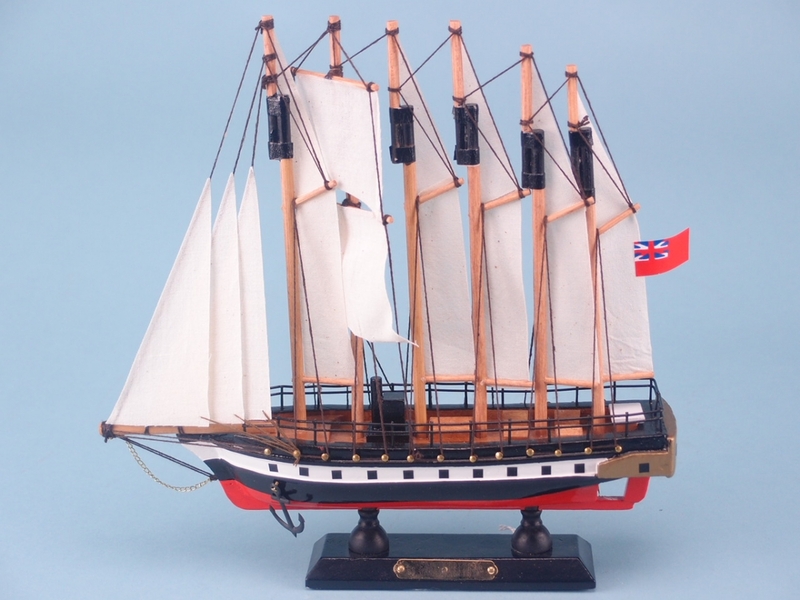 A large model of the well-known SS Great Britain, placed on a wooden base for display purposes. 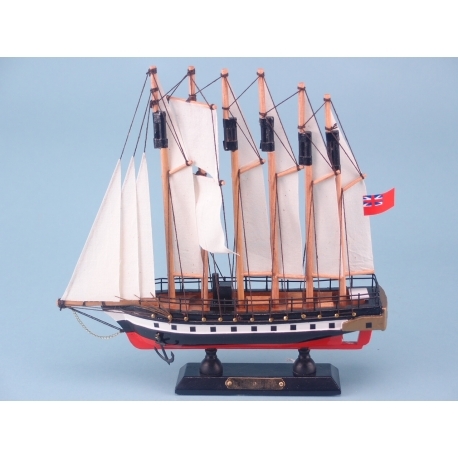 This hand crafted model of the famous SS Great Britain is a perfect display piece for anyone with an interest in naval history. Handmade from high quality wood, the model measures at 33 by 26 centimetres, which makes it a substantially sized decoration. The SS Great Britain was launched as a passenger ship in 1843. She was the first ship to combine an iron hull with a propeller, making it very advanced for its time. Nowadays, the SS Great Britain operates as a museum ship out of its home port of Bristol.